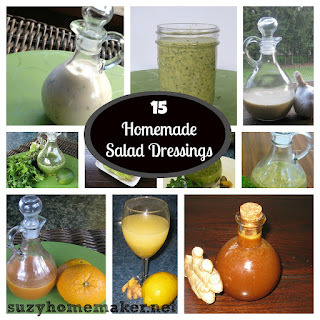 I now have 15 homemade dressings on my suzyhomemaker sauces page. Very exciting. On most you will also find a comparison to a store bought dressing. Making homemade salad dressing is so easy and when you see the junk put into store-bought bottled dressing, it is very motivating to make your own. Check them out and try a few!